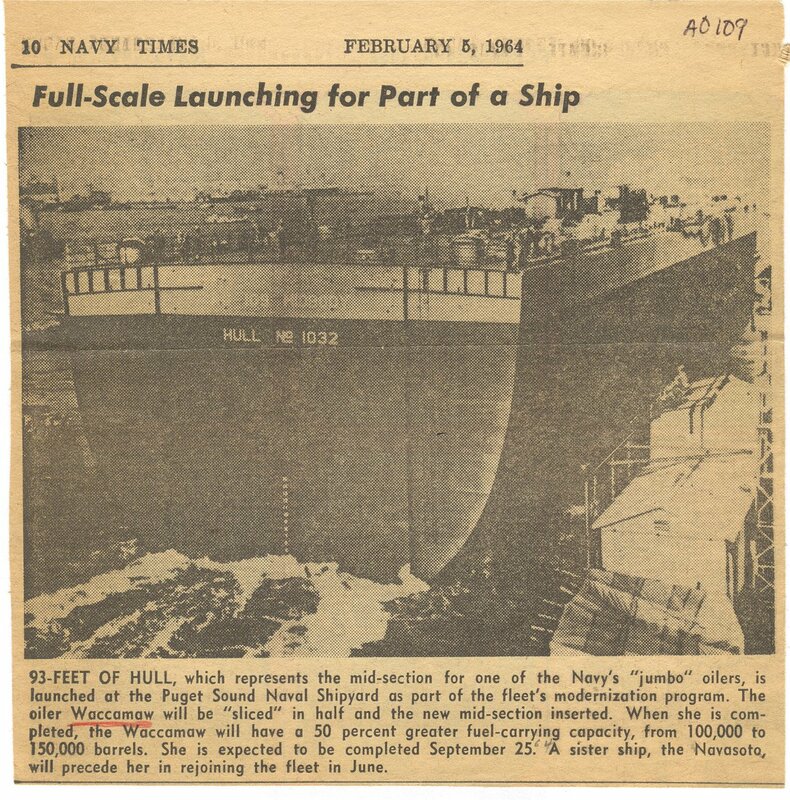 Laid down, 28 April 1945, as a Maritime Commission type (T3-S2-A3) tanker hull, under Maritime Commission contract (MC hull 2705), at Sun Shipbuilding and Drydock, Chester, PA.
Jumboized, 1964-65 at Puget Sound Bridge and Dry Dock Co., Seattle, WA. 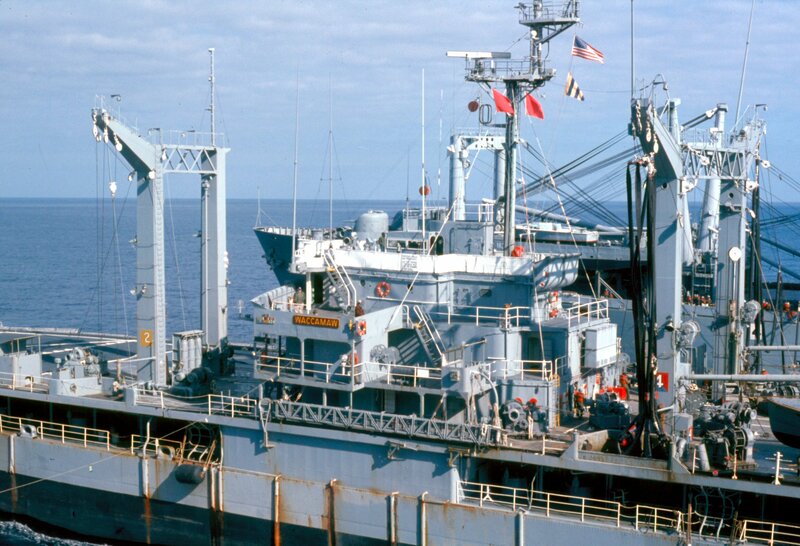 Title transfer to MARAD for lay up in the National Defense Reserve Fleet, James River, Fort Eustis, VA.
Sold for scrapping (date unknown) to International Shipbreaking Ltd., Brownsville, TX. 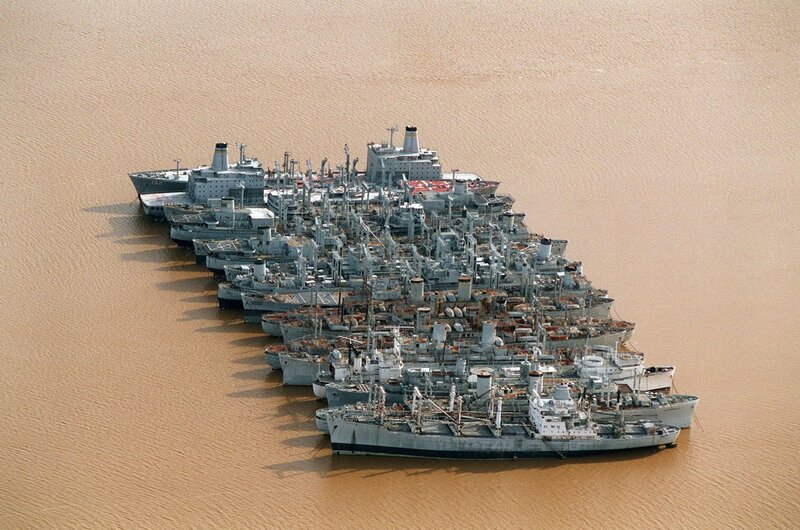 Final Disposition, scrapped at Brownsville, TX. 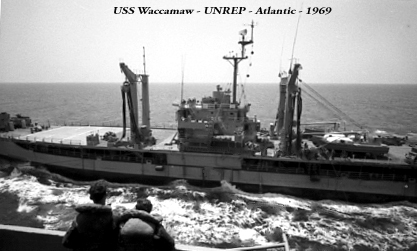 76k USS Waccamaw (AO-109) under way, date and location unknown. 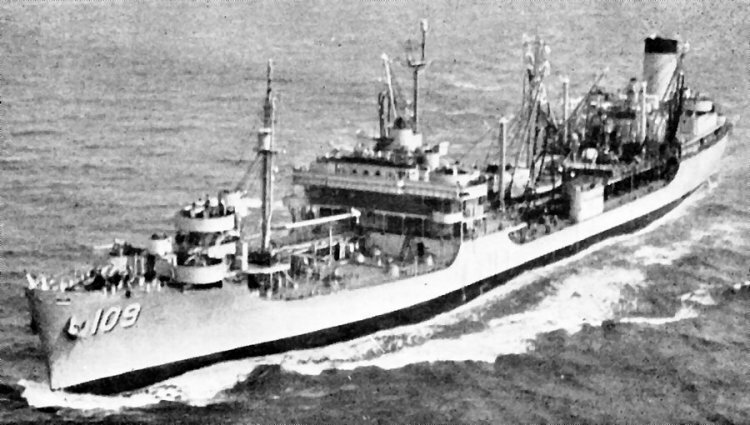 80k USS Waccamaw (AO-109), off Newport R.I., 16 November 1954. 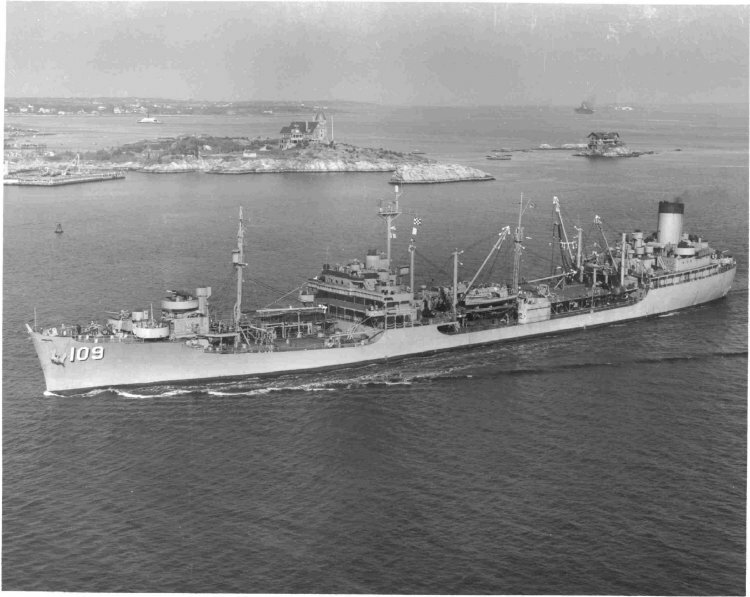 82k USS Waccamaw (AO-109), off Newport R.I., 16 November 1954. 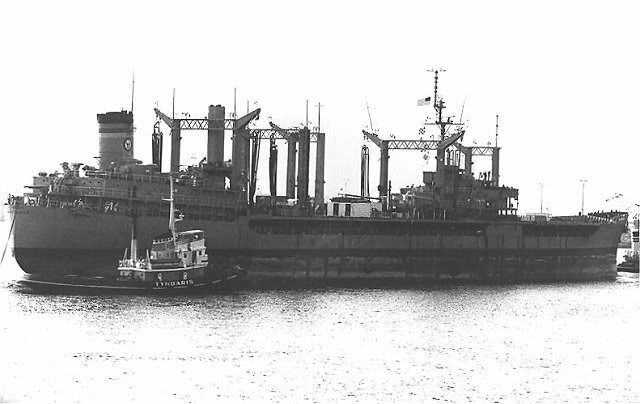 1861k USS Cascade (AD-16) with USS Charles S. Sperry (DD-697), USS Moale (DD-693) and USS Pompon (SSR-267) along side. 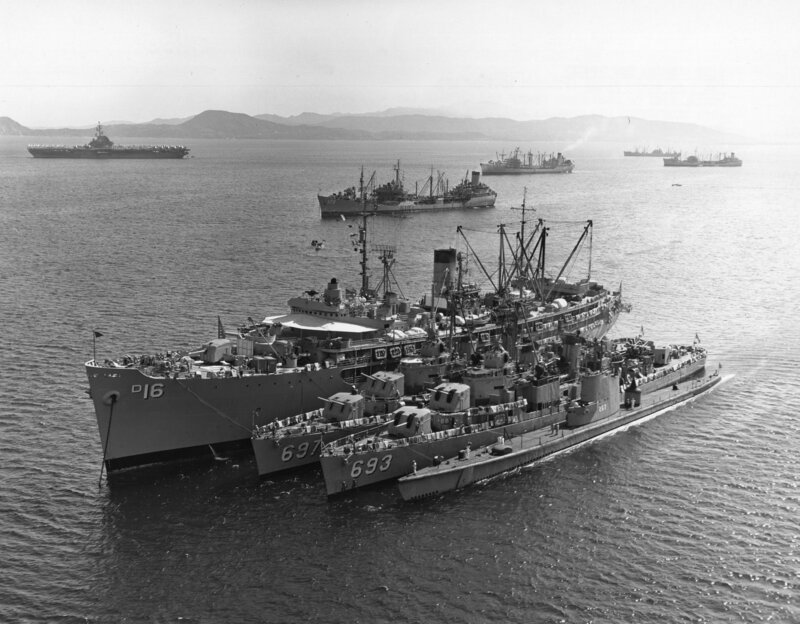 Ships in the background in include left to right: USS Randolph (CVA-15), USS Waccamaw (AO-109), USS Mississinewa (AO-144) and two unidentified auxiliaries, an AO and possibly an AKA. 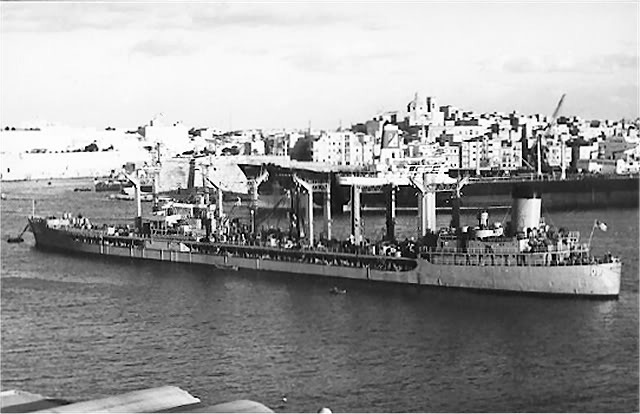 At anchor in the Mediterranean, 12 September 1956. 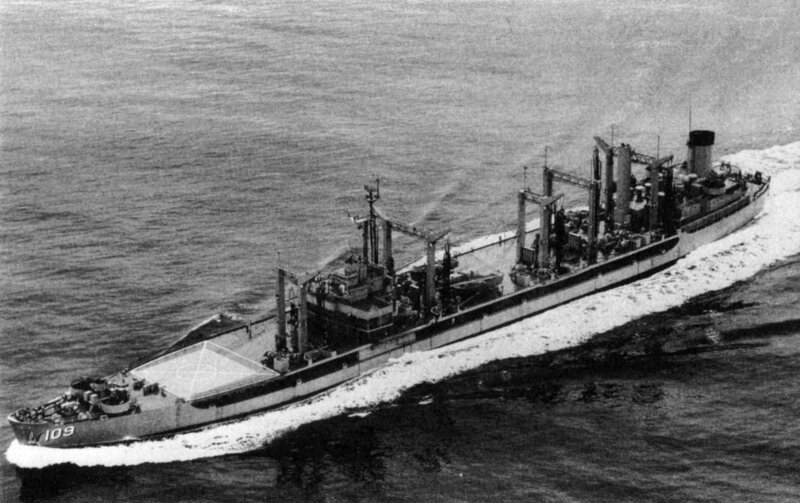 54k USS Waccamaw (AO-109) under way, date and location unknown. 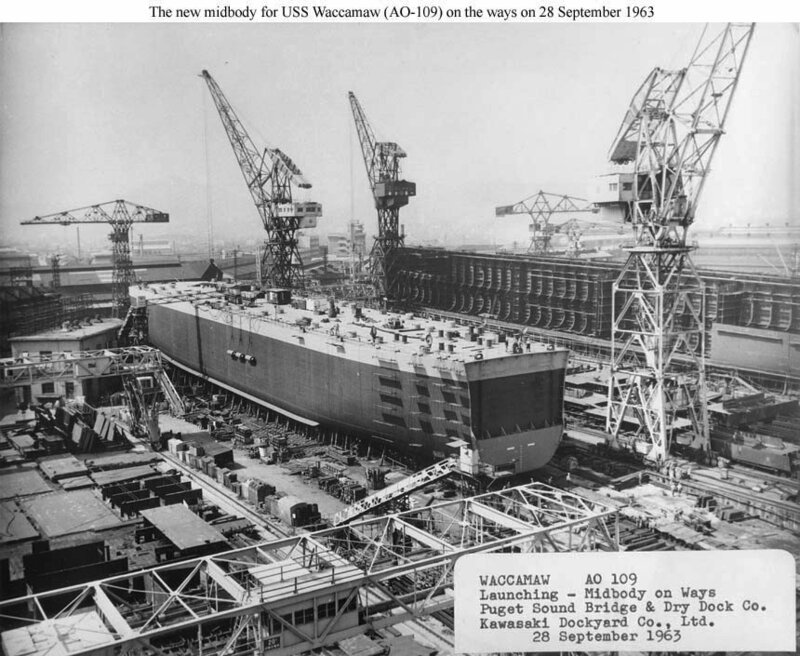 148k Waccamaw (AO-109) mid-body section during the jumboization process on the building ways at Kawasaki Dockyard Co. Ltd, Kobe, Japan ready for launching, 28 September 1963. 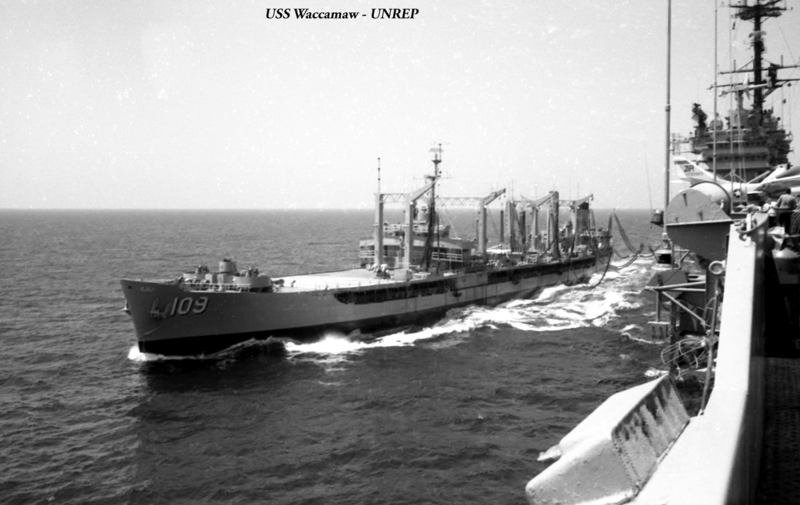 106k USS Waccamaw (AO-109), in the Mediterranean Sea, 28 July 1966. 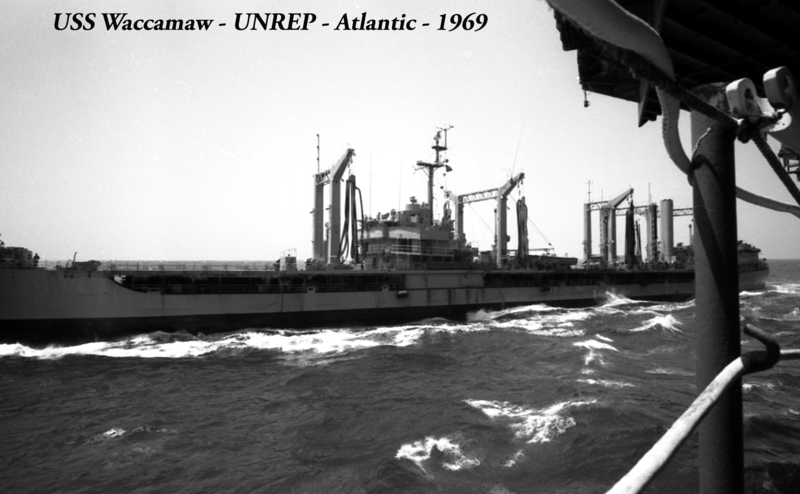 105k USS Waccamaw (AO-109) under way, circa 1966, location unknown. 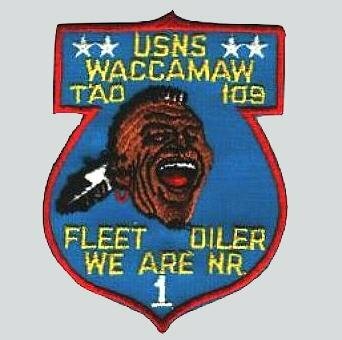 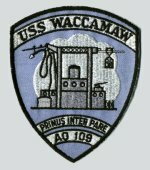 111k USS Waccamaw (AO-109) under way, date and location unknown. 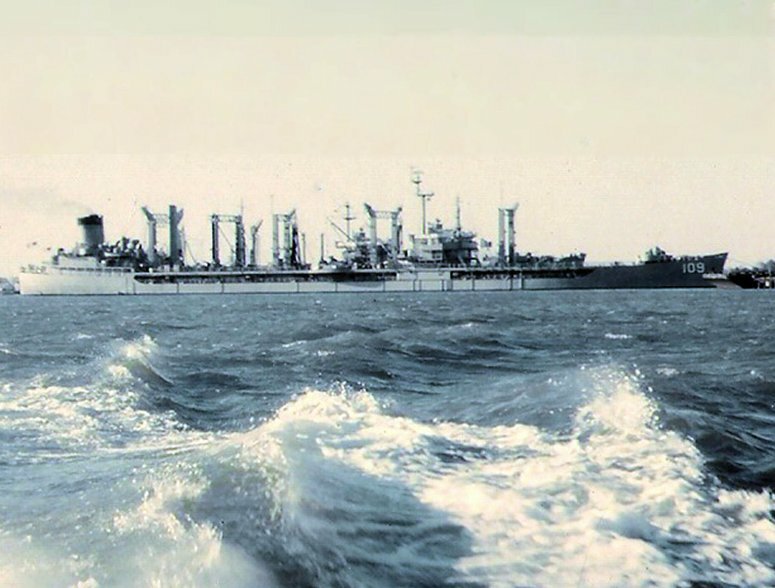 Photo taken after jumboization. 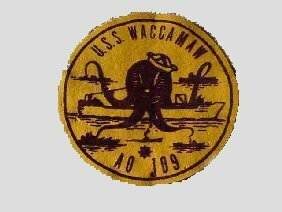 156k USS Waccamaw (AO-109) under way, date and location unknown. 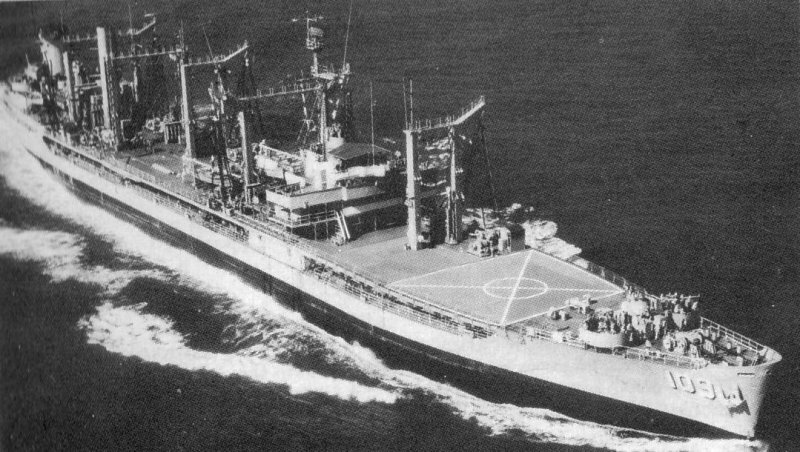 204k Stern view of USS Waccamaw (AO-109) underway in 1972, location unknown. 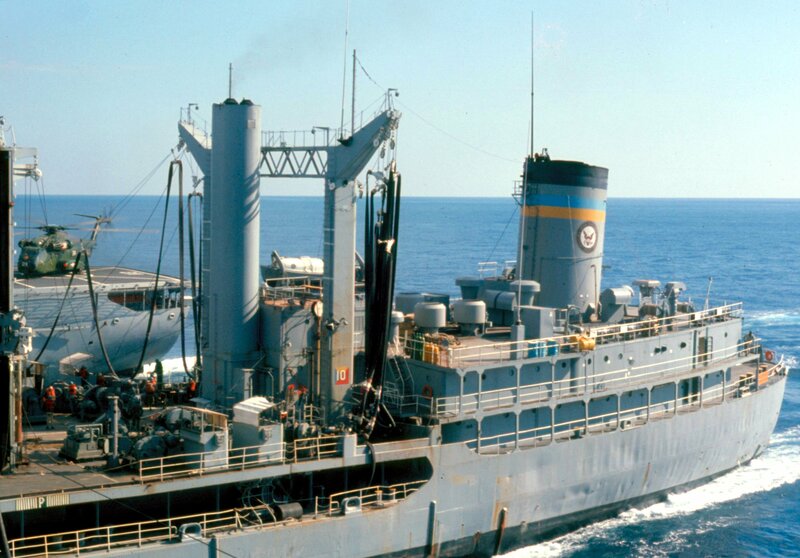 79k USS Waccamaw (AO-109), after jumboization, April 1973, location unknown. 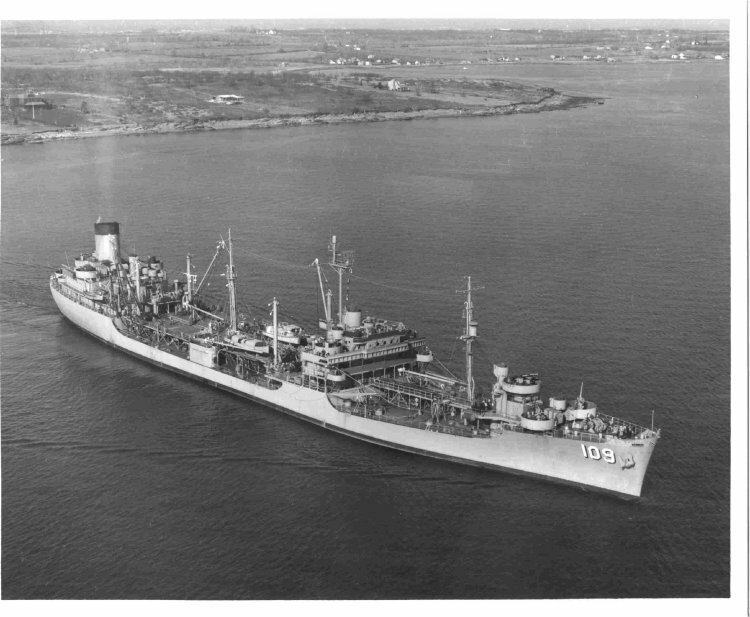 57k USS Waccamaw (AO-109) at anchor, date and location unknown. 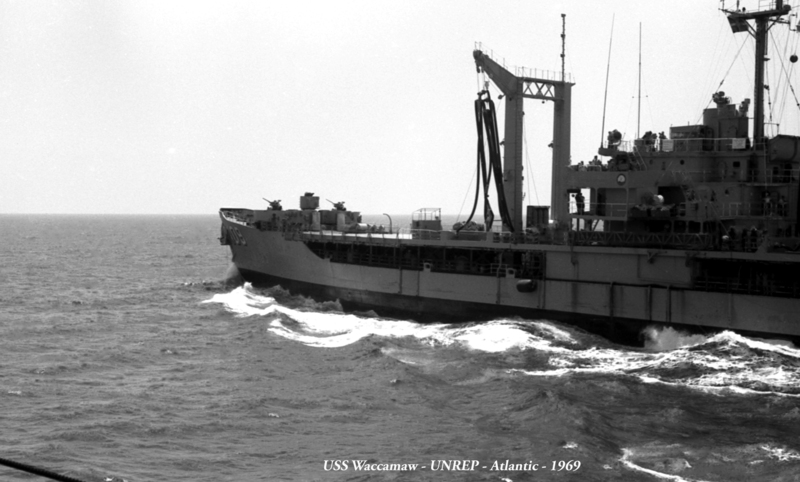 43k USNS Waccamaw (T-AO-109), under way in harbor with assistance of several tugs, date and location unknown. 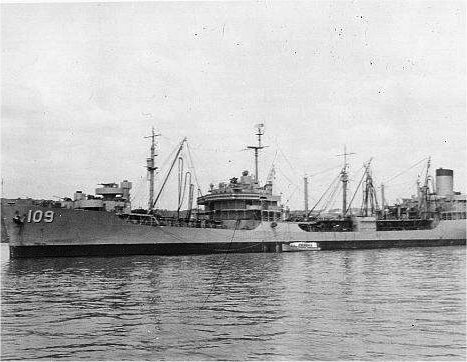 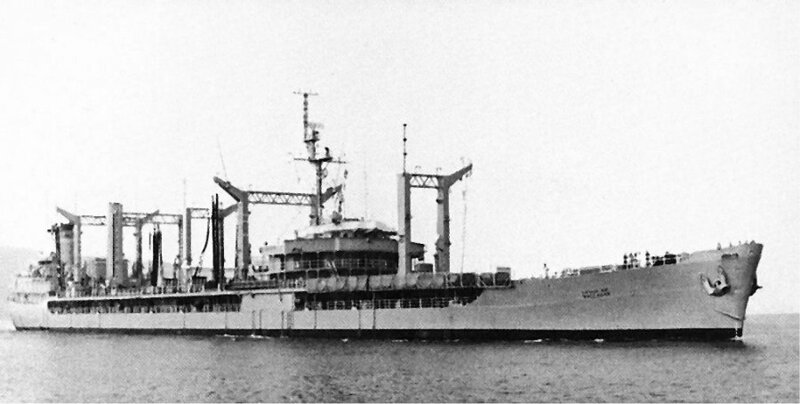 78k USNS Waccamaw (T-AO-109), under way, date and location unknown. 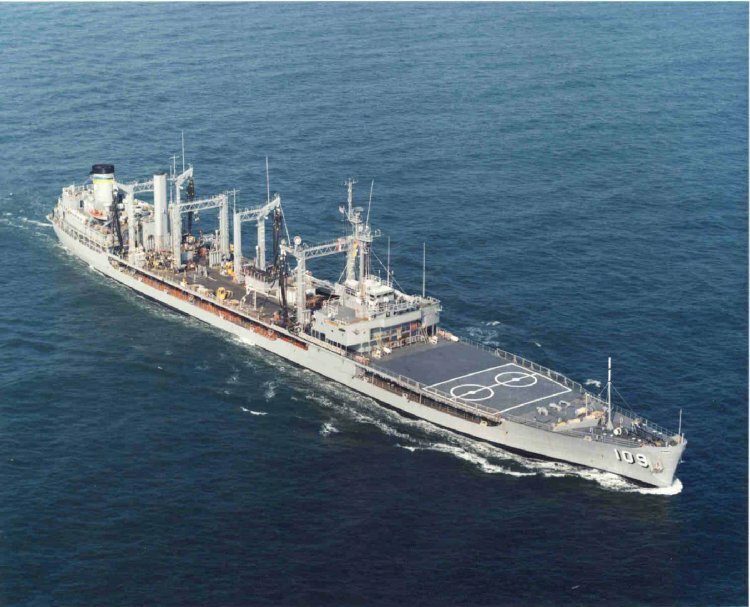 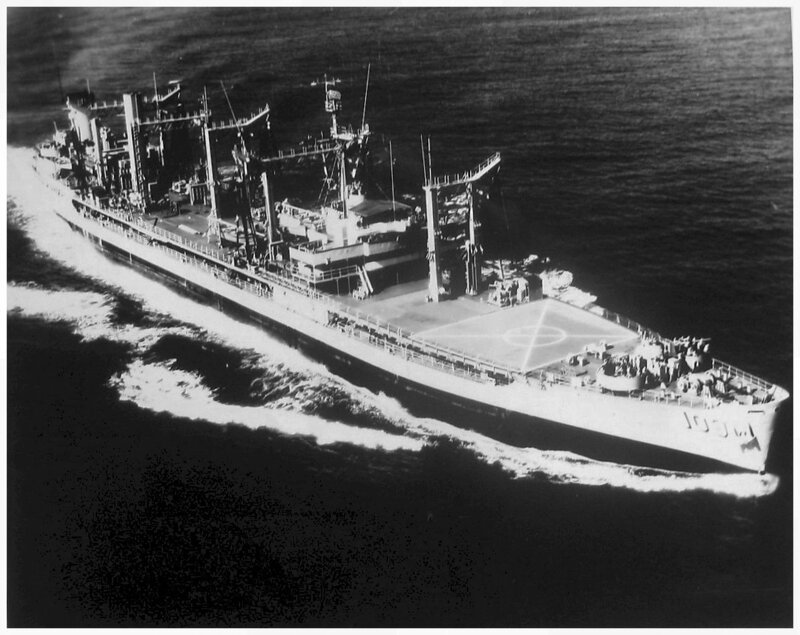 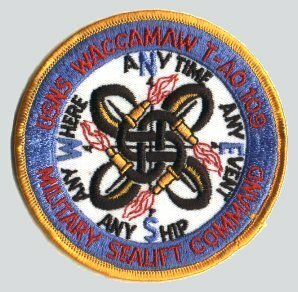 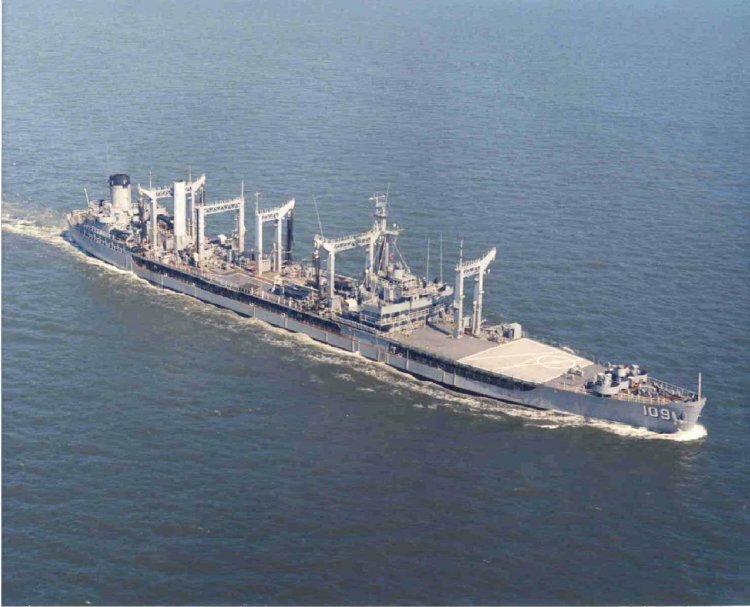 95k USNS Waccamaw (T-AO-109), under way, date and location unknown. 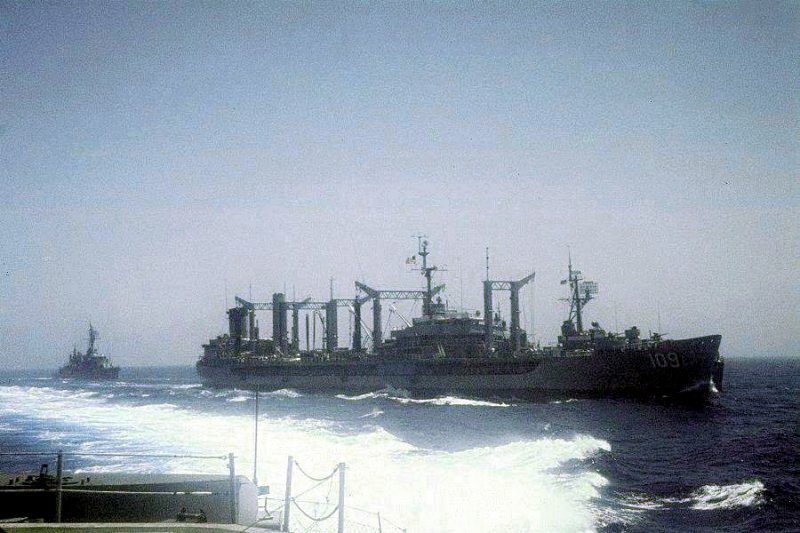 218k USS Coral Sea (CV-43) is refueled while underway by the fleet oiler USNS Waccamaw (T-AO-109), Mediterranean Sea, 29 January 1986. 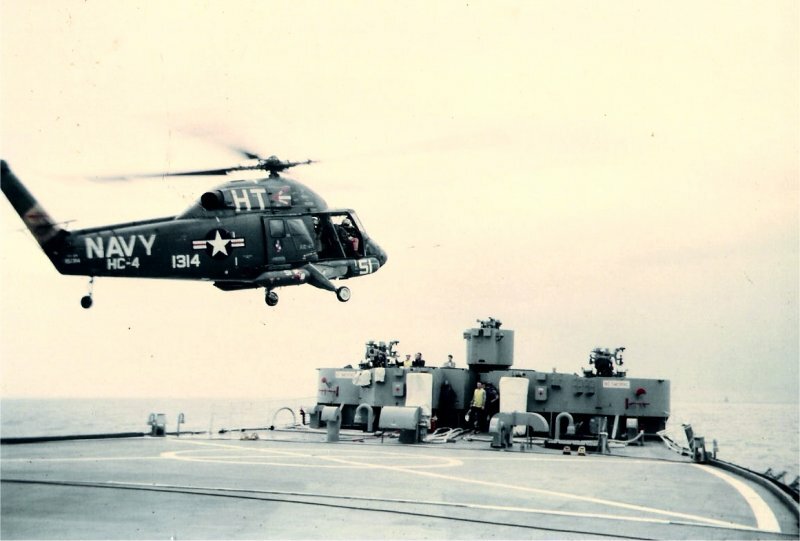 Carrier Air Wing (CVW) 13, tail code "AK," was aboard. 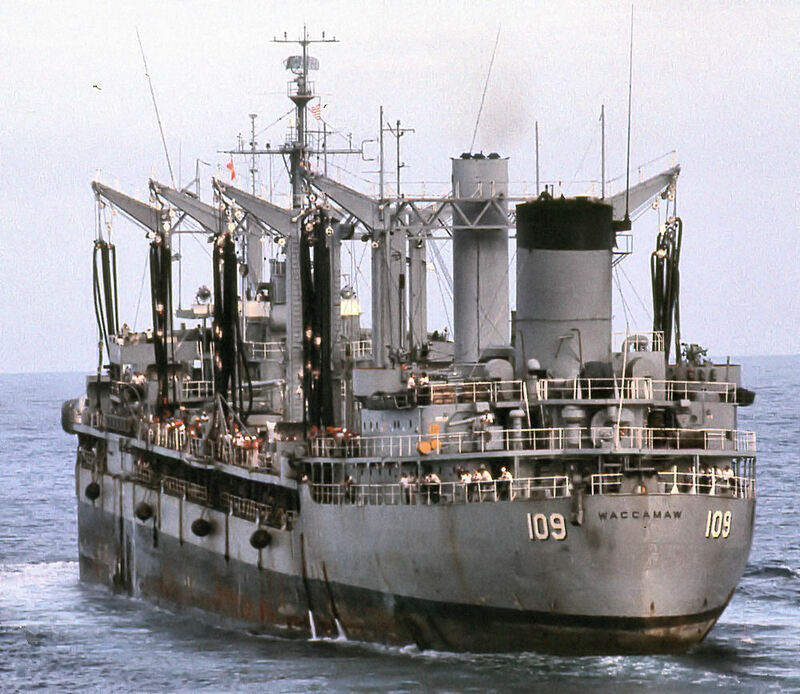 A Knox-class frigate is steaming astern. 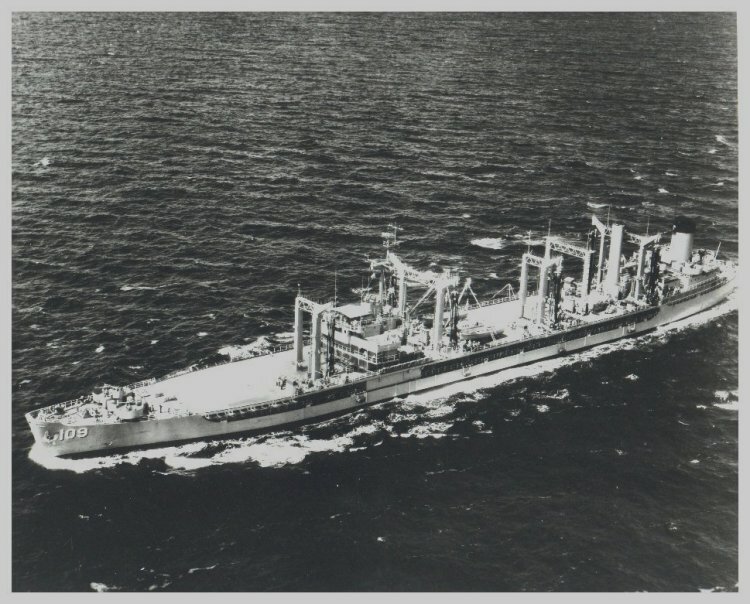 205k USNS Waccamaw (T-AO-109), under way, date and location unknown.